Respiratory diseases such as bronchitis, asthma, allergic rhinitis, pneumonia, and sinusitis can significantly curtail the physical activities of the individual. The symptoms associated with both mild and severe indication of these respiratory conditions include coughing, wheezing, chest pain, respiratory distress, and shortness of breath, congestion, and even death in severe cases. These conditions lead to substantial morbidity and causes large cost of burden to the society. Therefore, the development of new drugs with less adverse effects for the treatment of respiratory tract infection is a major concern for manufacturers, as there are many generic players in the market, occupying majority of the market share. The global respiratory tract infection treatment market was valued at US$ 35.64 Bn in 2017, and is expected to witness a CAGR of 6.5% over the forecast period (2018 – 2026). Increasing prevalence of chronic respiratory diseases such as asthma, chronic pulmonary lung disease, pulmonary hypertension, and occupational lung disease are the major factors augmenting growth of the respiratory tract infection market. For instance, according to the Biomed Central Respiratory Research 2016, asthma and chronic obstructive pulmonary disease (COPD) are common chronic obstructive lung disorders characterized by variable airflow limitation and airway hyper responsiveness, affecting over 25 million people in the U.S. 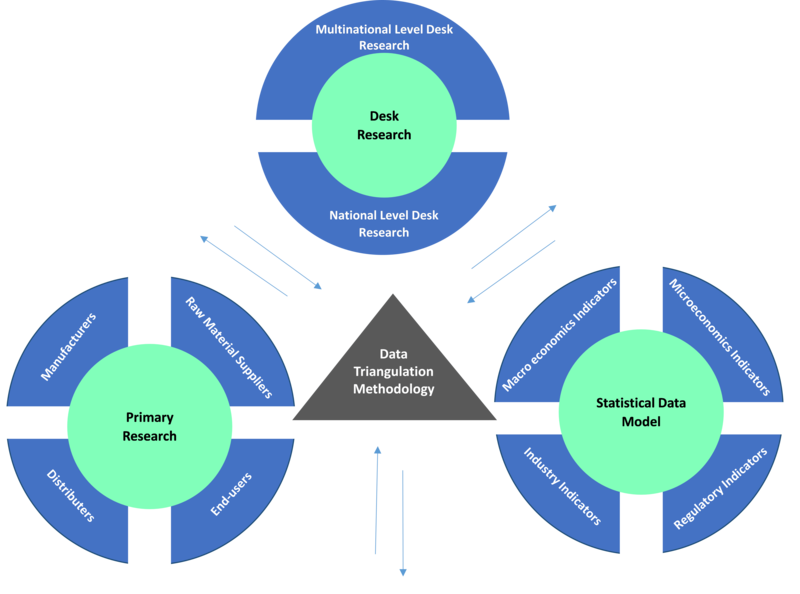 Various organizations, institutions, and agencies are working towards improving the diagnosis and medical care needed to reduce the global burden of respiratory diseases. For instance, the Global Alliance against Chronic Respiratory Diseases (GARD) was formed with the support from the World Health Organization (WHO) to control chronic respiratory diseases. The main objective of GARD is to develop simple and affordable strategies for chronic respiratory diseases (CRD) and to encourage economies to implement health promotion and CRD prevention policies. Presence of various drugs in pipeline, which is expected to be launched over the forecast period will also boost the market growth of respiratory tract infection treatment. Some of the drugs in the pipeline include Relenza (GSK), MK7264 (Merck & Co.), Presatovir (Gilead), AZD7594, and PT010 (AstraZeneca). However, presence of various generic manufacturers and low cost of various drugs including antibiotics in the market may hinder the respiratory tract infection treatment market to some extent during the forecast period. On the basis of region, the global respiratory tract infection treatment market is segmented into North America, Latin America, Europe, Asia Pacific, Middle East, and Africa. North America is expected to hold a dominant position in the global respiratory tract infection treatment market over the forecast period, owing to increasing number of hospitalizations and emergency visits associated with acute or life threatening medical problems. According to the study by Society of Critical Care Medicine 2016, over 5.7 million patients are admitted annually in intensive care units (ICUs) in the U.S. for support of airway, breathing or circulation, and comprehensive management of injury. Also, according to the Centers for Disease Control and Prevention (CDC), 2017, around 1.7 million emergency department visits with chronic and unspecified bronchitis were registered in the U.S. hospital facilities. Furthermore, several pharmaceutical and biotechnological companies are focusing on expanding their business in Asia Pacific region, to maximize their R&D activities, as this region provides better access to patients for clinical trials, with low cost operational efficiencies. Increasing government investments in research and development, patient awareness, improved health care infrastructure and facilities, high disposable income, and prevalence of unhealthy lifestyle are also expected to foster growth of the respiratory tract infection treatment market in the Asia Pacific region. 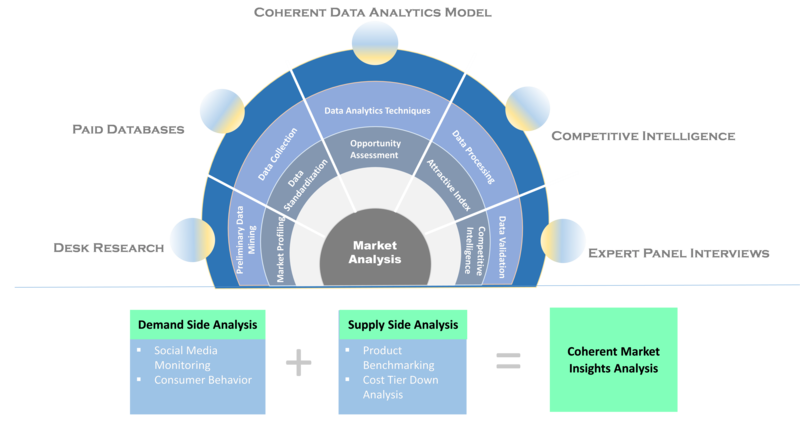 Increasing approval of new drugs by the Food and Drug Administration (FDA) is also expected to propel the overall market growth over the forecast period. For instance, in November 2017, the U.S. FDA approved Fasenra (Benralizumab) manufactured by AstraZeneca, a respiratory biologic for patients aged 12 years and older who are suffering from asthma, and with an eosinophilic phenotype. 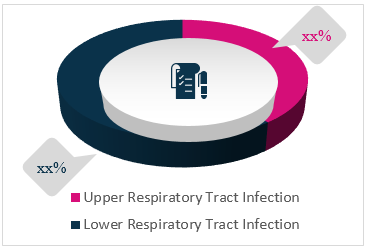 Key players operating in the global respiratory tract infection treatment market include Abbott Laboratories, AstraZeneca, Plc, Abbvie Inc., Boehringer Ingelheim GmbH, Cipla Pharmaceutical Company, GlaxoSmithKline plc, Pfizer Inc., Merck & Co., Novartis AG, F. Hoffman La Roche Ltd, Sanofi, and Teva Pharmaceutical Industries Ltd.
Respiratory tract infection is any infection in the nose, sinuses around the nose, throat (pharynx), voice box (larynx), and windpipe (trachea), airways (bronchi) or lungs, which may occur anytime, usually beginning with cold. This infection is usually caused by bacteria and viruses. Virus prone respiratory tract infection are easily transmitted and very contagious while bacterial infection can also be developed during the course of an upper respiratory tract infection. Respiratory tract infection is generally divided into two categories- upper respiratory tract infection (infection in nose, throat, and pharynx) and lower respiratory tract infection (infection below the larynx). The global respiratory tract infection market is expected to witness lucrative growth due to factors such as increasing prevalence of lung diseases, surge in geriatric population, and rising risk of pneumonia in children. According to the World Health Organization (WHO), respiratory syncytial virus (RSV) is responsible for around 30 million lower respiratory tract infection cases in children worldwide. The prevalence of such viral diseases is expected to drive growth of the global market over the forecast period. Increasing air pollution can severely affect respiratory health of children as well as adults. Various studies have shown effects of air pollution that can exacerbate existing respiratory conditions such as asthma, COPD, and upper airway allergies. However, adverse effects of using NSAIDs and antibiotics on patients suffering from respiratory tract infection may hinder growth of the market. In 2015, the U.S. Food and Drug Administration (FDA) increased the warning labels on over-the-counter NSAIDs to highlight elevated risks for heart attack and stroke. Key players covered as a part of this study include Abbott Laboratories, AstraZeneca, Plc, Abbvie Inc., Boehringer Ingelheim GmbH, Cipla Pharmaceutical Company, GlaxoSmithKline plc, Pfizer Inc., Merck & Co., Novartis AG, F. Hoffman La Roche Ltd, Sanofi, and Teva Pharmaceutical Industries Ltd.